A novel set across four decades about a group of women navigating professional life in the oppressive working world of the Fifties and Sixties under the mentorship of their supervisor, the famed Lee Jaffe of the Port Authority. ...a serpentine, craftily arranged novel that spans decades and county lines, with underplayed walk-on roles by the urban activist Jane Jacobs; John Lindsay, a former mayor of New York; and the French high-wire artist Philippe Petit, who famously walked between the Twin Towers in the 1970s ... Scott serves up the vice-ridden narrative with white-glove service. For a book so full of corruption, Careers for Women never reads like hackneyed crime fiction. She borrows the genre’s best aspects (pacing, stakes, excitement) and eschews its worst (gore, stilted dialogue, clumsy foreshadowing). The same could be said for her relationship to historical fiction, which all too often relies on period props and a confounding amount of sensual detail ... Scott’s prose can be subtle to the point of invisible — a reader won’t gasp at recognition or smile at very many unexpected similes. Her intelligence is more structural, more architectural even: The narrative is complex, its foundation is secure; there are no distracting lines, its surface is free of ornament. Joanna Scott’s compelling and complex new novel is chockablock with history, feminism, social divisions, environmental blight, office politics, maternal bonding, urban displacement, women’s friendships, corruption, sexism, and murder ... At first, sorting out the seemingly haphazard story sections can be daunting; the lack of chronological order can confuse. But keep at it. There’s method in such apparent madness — an ingenious structure with a big payoff ... Moving though these increasingly gripping pages, the intersecting plots converge, resulting in conflagrations personal, political, industrial. The Twin Towers fall. The world changes. Yet its citizens still fail to grasp Lee Jaffe’s lesson: 'When we forget to ask questions, we make mistakes.' This eloquent novel manages, without being polemical, to reflect the sad way we live now and seems tragically apt in light of such dire ongoing events as climate-change denial, sexual harassment suits, and the Grenfell Tower fire. 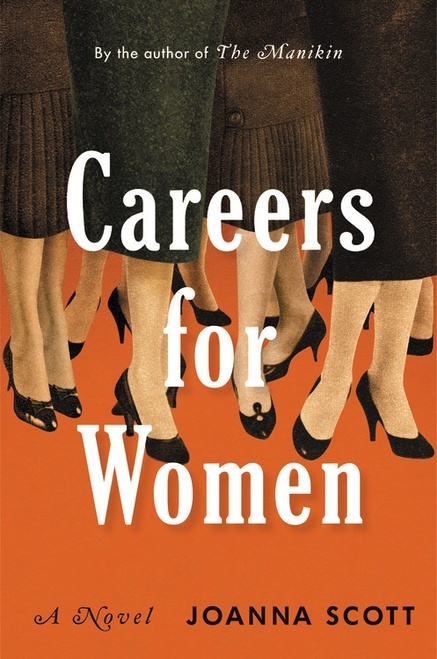 What did you think of Careers for Women?